Virat Kohli's men go into the three-Test series against Sri Lanka in Galle on Wednesday fully aware that they need to win the series to retain their number-one Test ranking. 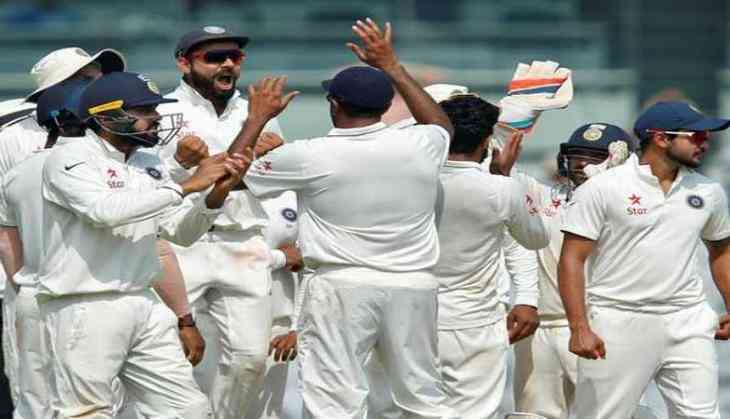 India are presently sitting pretty on the top of the tree on 123 points, while second-ranked South Africa, who are involved in its four-Test series against England, are second on 117 points. If India win the series against Sri Lanka then it will end the Proteas' chances of reaching the top even if it win the remaining two Tests against England. However, if Sri Lanka turn the tables on the number-one ranked Test side then South Africa will have a sniff of the top position. If Sri Lanka beat India 2-1 or 2-0 or 1-0 then South Africa will need to beat England by 2-1 or better to surge to the top of the Test rankings. If Sri Lanka win all the three Tests against India then South Africa will need to draw the series against England. On the other side of the coin, if India win 3-0 then it will gain two points and rise to 125 points while Sri Lanka will drop two points to finish on 89 points. To retain its pre-series points, India will need to either win 2-0 or 3-0, otherwise it will lose points. In the Test Rankings of Batsmen, India's Cheteshwar Pujara will be aiming to break into the top three. The right-hander trails number-three ranked Kane Williamson of New Zealand by 34 points. Steve Smith is the number-one ranked batsman and he is followed by England captain Joe Root. Despite missing 10th ranked Lokesh Rahul, India have Kohli (fifth) and Ajinkya Rahane (11th) inside the top 20, while the next highest-ranked Indian batsman is wicketkeeper Wriddhiman Saha, who is ranked 47th, while Rohit Sharma is 48th. As far as Sri Lanka are concerned, 19th ranked Angelo Mathews is its highest-ranked batsman. He is followed by Kusal Mendis, who shares 24th place with an absent Dinesh Chandimal, Dhananjaya de Silva (44th) and Upul Tharanga (45th). Among the bowlers, India's left-arm spinner Ravindra Jadeja will start as the number-one ranked bowler, leading Sri Lanka's stand-in captain Rangana Herath by 32 points. Other bowlers who feature prominently in the player rankings and will be aiming to make upward movements include Ravichandran Ashwin (third), Dilruwan Perera (18th), Umesh Yadav (22nd), Mohammed Shami (24th), Ishant Sharma (29th), Nuwan Pradeep (33rd), Bhuvneshwar Kumar (35th) and Suranga Lakmal (36th). 12-16 Aug: 3rd Test, Pallekele.